“There are many medicinally rich exotic crops grown exclusively in mountains as it requires below 25 degree Celsius temperature. If these products are grown commercially it will not only improve the livelihood of the farmers but also improve the health of the consumers because crops grown in mountains are 100% chemical free and packed with medicinal properties. However, farmers do not grow these crops as they find it tough to sell and agripreneurs do not want to work with the farmers in mountains due to connectivity issues and logistic nightmare. So along with my brother, I decided to take the initiative to grow and market these selective products from Sikkim,” says Mr. Abhinandan Dhakal, co-founder, Shoten Group. Presently company deals in yacons (ground apple) and shiitake mushrooms. Both products are sold at premium price thereby farmers’ income increased atleast by three times. Shoten Group works with small and marginal farmers across Sikkim on contract farming model. “We choose to work with these farmers because they require more assistance than other recognized farmers in the state. 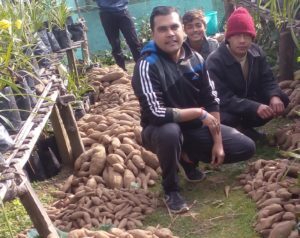 Secondly as our state is 100% organic, only mountain specific selective crops could help them earn higher profits because the usual crops like ginger and turmeric can be grown all over the country therefore we are focused on crops that are cultivated only in Himalayas,” highlights Mr. Abhimanyu Dhakal, co-founder. Company was established in 2014 at Gangtok, Sikkim. 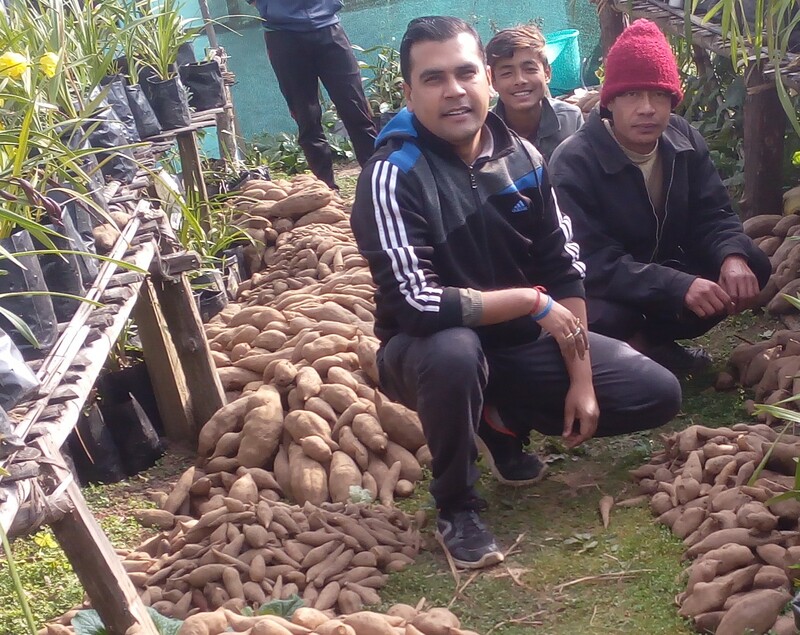 There are many products that can be grown only in mountains however all cannot be cultivated simultaneously therefore Dhakal brothers did meticulous analysis on 30 plus crops with respect to production, logistics and marketing. “Based on all the factors we decided to focus on yacon and shiitake mushrooms,” he informs. Yacon also known as ground apple is a 10 months crop. It is a neutraceutical root that grows best at the elevation of 5000 and above. It requires sandy soil with good water draining capacity because in water logging areas the crop would rot. Being sweet in taste and having high insulin content it can be easily consumed by diabetic patients. Also it enhances digestion, reduces bad cholesterol and effective for weight loss. Shiitake mushrooms are grown on wood logs or sawdust. In Sikkim these are grown only on logs of different wood species such as oak and willow trees. Temperature varying from 0-25 degree Celsius is suitable for this mushroom variant. It is a super food having high content of vitamin B and vitamin D. It has the medicinal properties to boost the immune system. Presently more than 200 farmers are associated with the company. They are provided with the planting material, production guidance and 100% buy-back guarantee. “We have decided that even if we are at loss we shall buy the entire produce of yacons and shiitake mushrooms from our contract farmers as we do not want them to be in the state of distress for selling these products,” asserts Mr. Abhimanyu. Consequently farmers now trust Shoten Group immensely. “Initially we went to the farmers and encouraged them to grow these two exotic crops. They are simple people but find it difficult to trust the people from cities. 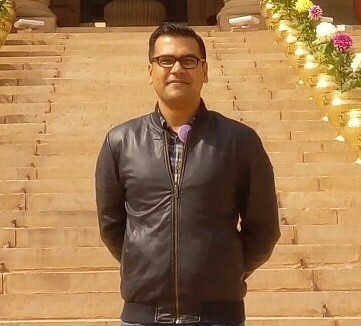 Nevertheless, with our regular interactions now they have faith in us and want to work with us wholeheartedly,” he affirms. Although both products are grown in mountains and rich in medicinal properties but completely differ in terms of marketing and production. Farmers knew about yacon and found it easy to grow but consumers were not aware of its health benefits hence marketing strategy was to create the awareness and thereby generate the demand. Conversely shiitake mushrooms have good demand in the market as consumers are aware of its nutritional value but farmers required technical training for mushroom cultivation. “International Centre for Integrated Mountain Development (ICIMOD) has helped us largely to cope with production related challenges. We have a tie-up with them since 2014. They became our knowledge partners and extended enormous support to train the farmers,” shares Mr. Abhimanyu. Farmers in Shoten Group network are progressing towards growing shiitake mushrooms too but gradually because it requires specific environmental conditions and woods for cultivation. They are provided with spawns and the training as required. Shiitake mushroom starts fruiting in just three months and is harvested only during winters, October-February. “Mostly 2019 we will able to increase the production volumes of shiitake mushrooms,” states Mr. Abhinandan. In future Dhakal brothers plan to reach out to the farmers in other Himalayan states too. They would also expand their product base to other mountain special products while immediate plan for this year is to work with 500 farmers. “In 2018 we are expecting to get 80 ton yacon production and encourage more farmers to grow shiitake mushrooms. We shall be selling raw yacon and syrup in all four metro cities,” he shares. Both the brothers are committed to take Himalayan mountains’ grown products across the country and enable farmers earn better. “Due to the immense efforts of the state government in making the entire region 100% organic our Sikkim state has become a brand in itself. Inspite of being such a small state it has attained a unique recognition worldwide. Our farmers have contributed largely towards this brand creation and deserve to be rewarded therefore we want to deal only with the products produced in mountains to keep exclusivity of state and facilitate farmers get their due share,” they sign off.